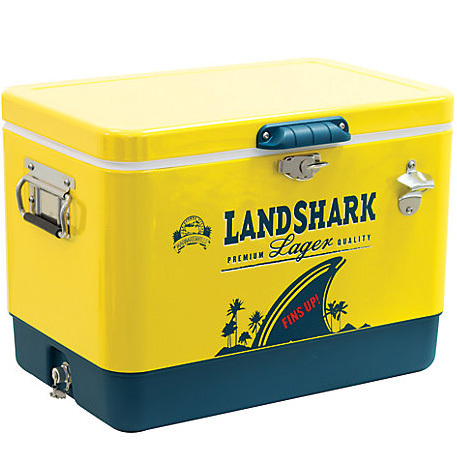 The Margaritaville Landshark 54 quart powder coated steel cooler is a must for any outdoor event. Fits up to 85 cans and includes a bottle opener on the side. Easy to carry with rubber grips. Has a powdered coated steel body and rust-proof screw off drain cap for added convenience. Dimensions: 23.5inch. x 15.5inch. x 16.5inch.